One of Australia's most expensive coins has been placed on show in Brisbane alongside a unique bank note dating back to 1824 with a connection to the river city. 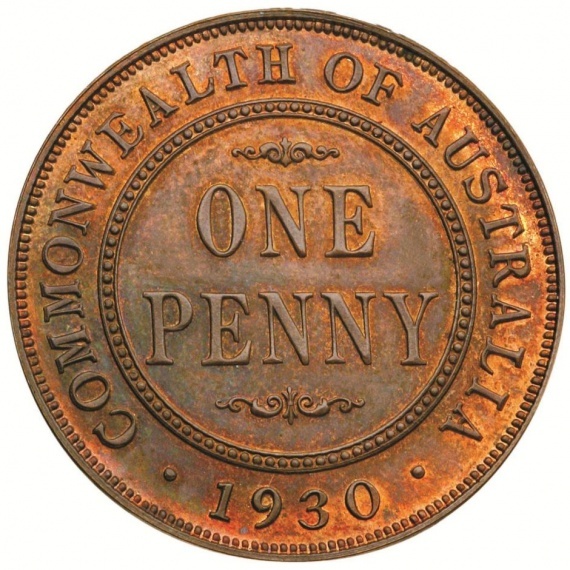 The 1930 proof penny was the first Australian coin to crack the million-dollar value mark in 2011. Proof pennies are early samples of a coin issue, and often have special dies with either a mirror-like or matt finish. 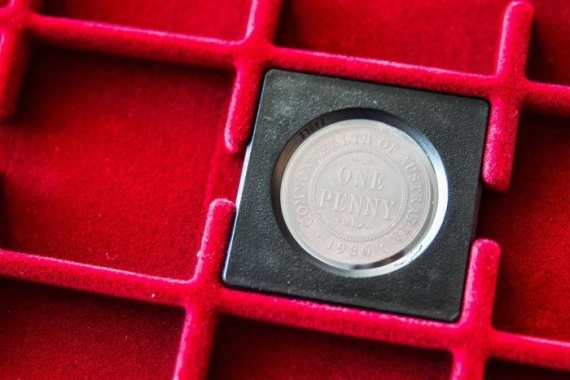 There are six such pennies still in existence housed at the British Museum, the Art Gallery of South Australia, and the Victorian Museum while the other three are in private hands in Sydney and Melbourne. 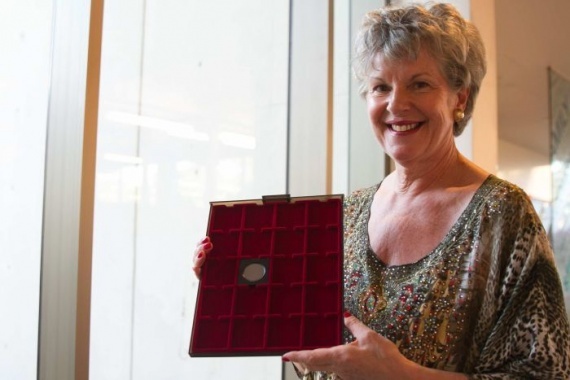 Melbourne-based dealer Belinda Downie transported the coin to Brisbane, escorted by a bodyguard ahead of the Brisbane Coin, Banknote and Stamp show held at the weekend. 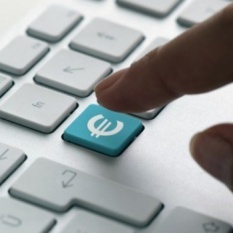 «There is a lot of romance and mystery associated with the coin. No-one knows how it was struck or why it was struck for circulation,» she told 612 ABC Brisbane's Rebecca Levingston. «It wasn't discovered until the 1940s and it was minted during the midst of the depression. »The penny had that rags-to-riches story overnight." Ms Downie said this particular coin was the property of a Melbourne client who allowed it to be exhibited to the public. «He [the coin owner] is a lover of history and his ancestors go back to the First Fleet,» she said. «When you spend a million dollars on something you are looking at the investment side of it and I think he will hold onto it [the coin] for a mid to long-term investment in the industry. »It really is the exclusivity of the piece, with only six known." A little known banknote issued by the Bank of New South Wales during the governorship of Sir Thomas Brisbane was also on show. The rare piece, which has been used and is the only one in private hands, shows decimal currency on a banknote issued in 1824. «The city of Brisbane was named after Sir Thomas Brisbane who was the Governor of the penal colony till 1825,» said Ms Downie. Ms Downie said the $20 note shows decimal currency was first used by Sir Brisbane in 1822, well before it was officially introduced to Australia in 1966.